The Woman’s Club of Plant City is a volunteer and service organization. 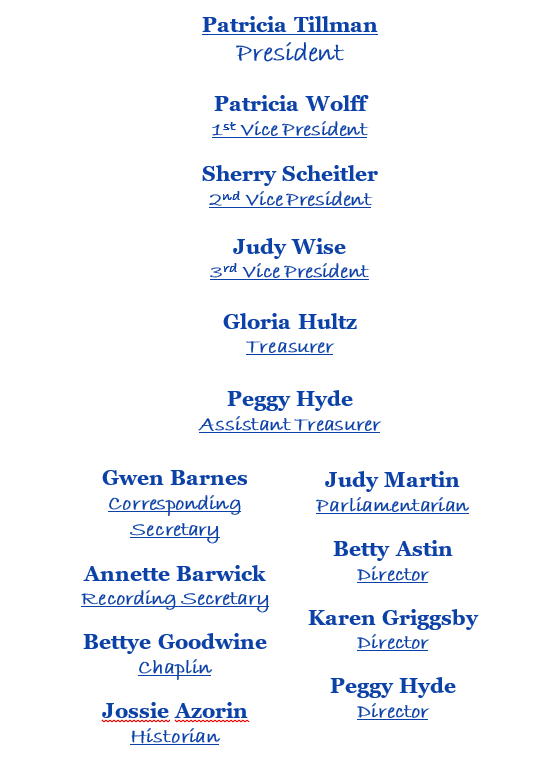 Within the Woman’s Club exist six community service projects. These projects allow for community involvement as well as the members of the club. 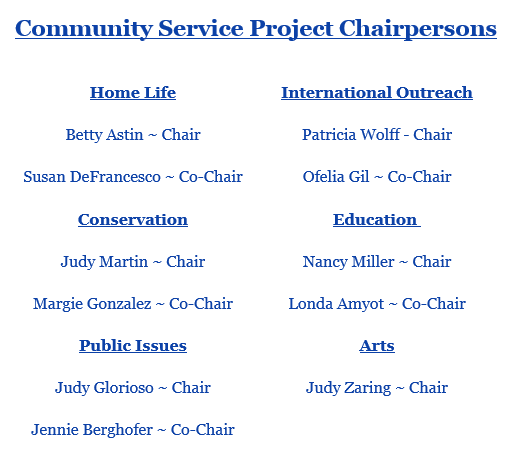 The community service projects each have a chairperson and members from the club. THE ARTS – The purpose of the GFWC Arts and Crafts CSP is to encourage members’ artistic expression and to recognize and support members’ achievements in photography, painting, sewing, crafts and performing arts. CONSERVATION COMMUNITY SERVICE PROGRAM – The conservation CSP gives reports on energy, education awareness of land stewardship, wildlife preservations, recycling, and beautification of communities. EDUCATION COMMUNITY SERVICE PROGRAM – The goal of the Education CSP is to help advise, support, and encourage education. HOME LIFE COMMUNITY SERVICE PROGRAM – The purpose of the Home Life Community CSP is to encourage participation in programs that enrich the lives of families. INTERNATIONAL AFFAIRS COMMUNITY SERVICE PROGRAM – International Affairs CSP institutes projects that make members better world citizens through advocacy, education and action. PUBLIC AFFAIRS COMMUNITY SERVICE PROGRAM – The purpose of the Public Affairs CSP is to introduce programs to rekindle pride and awareness in America.